Isn’t this the kind of movie Sunny Deol used to do 20 years back? I told her that she was a genius and this was the best one line in which the movie can be described. Somehow, the movie reminded me of those dubbed Nagarjuna and Rajnikant movies which were released in Bollywood in the 80s and the 90s. Why Oh why do you have to do this Aamir!!!!?!!???!!!! Ghajini is the story of Sanjay Singhania ( played by Aamir Khan ) who is the owner of a Mobile service provider company. He is super rich(owns a private jet, always moves with 5 cars around him etc etc) and falls in love with an upcoming model Kalpana ( played by Asin Thottumkal ). All this happens in the past tense. In the present, Sanjay is an ultra muscular, salivating, screaming, wide/red eyed human(??) who is suffering from short term memory loss and whose memory span is only 15 minutes. He clicks photographs to remember what he was doing 15 minutes back and is searching for a Mr. Ghajini ( played by Pradeep Rawat ) whom he is supposed to kill. A medical student named Sunita ( who is apparently the dumbest Medical student in the history of world cinema) helps him achieving his goal. Ten minutes into the movie and the horror of the upcoming disaster became apparent. Thankfully, Asin’s role is the only saving grace of the movie. She brings in stability and novelty to the almost-gone-out-of-control script. The portion of the movie which unfolds in the flashbacks is much more subtle and watchable. For the rest of it, you actually feel like watching an old Sunny Deol movie where he fights with the goons, revenging the love of his life. Switching on my “logic” button, the movie took quite a few liberties completely banking on the we-go-to-see-movies-for-entertainment mindset of an average moviegoer. I can understand that showing Aamir’s body was essential and in sync with the story but why was a rich businessman folding the sleeve of his shirts till his armpits even when he is in his office was beyond me ( Aamir looked more like a don than a businessman ). Why would a Medical student go to a Don(Mr. Ghajini) and tells him that there is a man after him and he should be alert when she can see four of his goons standing behind him and might apply a little brain to understand that he is no saint either? Why won’t a woman run out of her house when the electricity fails and when she knows that there are four goons in her house ready to chop her? If someone is telling the whole world that the owner of the biggest mobile service provider company is in love with her, won’t she atleast Google it once to see what he looks like? A very very irritating background score, some very jagged shots and a cliched been-there-done-that plot. Aamir, we thought that we are done with such movies. Taking up the same revenge drama with a short term memory loss splashed inbetween does not make it different. And in the climax, when you move out of the hospital with the dumb medical student, reach the Don’s lair, beat up his 20 goons ( and in the process, rotated the neck of one of them by 180 degree with a punch ) and fight with the Don himself, what happened to the 15 minute short term memory loss? Or are you saying that you did all that in 15 minutes? The music is no great shakes either. “Tu meri adhuri” is the only memorable number. And don’t even think about comparing this one to the original movie – Memento. Infact, there are no parallels. Only the same basic thread. I am disappointed because I was expecting something Earth-shattering. I know I am an average stupid moviegoer, but I am not THAT stupid. Sigh! What is the world coming to! you might be correct, but i think u better wait to see the response of the audience. and never underestimate A.R.Rahman’s score. since he’s a pure genius we cant comment on him. he s on da way to Oscar. to me its much much better than other movies of 2008. I had plans to go for the movie with 2 friends (my treat) and had arranged for 3 tickets at 30 rs extra each (advance booking) but found the tickets were of 26th Dec so canceled. And am I glad!!!!! I pity all those normal persons who did see it! Thanks now I wont be watching it on DVD even. Aamir should stick to having the chocolaty look. Ghajini is not a remake of the movie Memento. And I hope you know that, since I assume that you would have seen that too. Most of the storyline is different. And the movie isn’t bad after all. I beg to disagree with you here. The movie is indeed a masala movie and like how your mom mentioned beautifully, its like one of those 80’s flicks. But I feel every atcor should be given their cinematic liberties, otherwise they get repetitive soon. How long can we watch a serious Aamir ? Dont we get sick and tired of watching SRK doing the same role over and over ? and nowadays, Akshay too? Atleast Aamir makes it a point to be a lill different from the rest and cmon, once in a while we should allow him to have fun on screen too, right? Down south, we have our Kamal doing both serious and mindless comedies at the same time. Ghajini is a 100% masala and thats how it was promoted, isnt it? Even OSO had a typical 70’s flick storyline and I still havent understood the story of SiK ;). Both these movies are referred here becuz even they fall under the same genre of Ghajini- masala movies. and I didnt like both of them becuz the second half was unbearable. In Ghajini, they managed to keep the same pace in both the halves and didnt make it tiresome for the viewers to go sit through even though it was 3 hrs long. and now logic, jaane do yaar! there are way too many action and comedy movies that defies logic in Hollywood too. we dont make it an issue na? We appreciate a surreal movie like Matrix, but cannot accept a similar No smoking ! But yes, even Im against those movies from Priyan and David Dhawan or even Rajnikanth where the logic goes beyond our heads. The movie though 3hrs long wasnt boring at all and some of the scenes were shot really well. Asin, as usual, was a revelation to watch. BGM worked for me and Im glad that the Lattu song was short. ‘Kaise mujhe’ is still haunting me. and btw to answer this “Why would a Medical student go to a Don(Mr. Ghajini) “……she didnt know he was a Don. For her, he was this industrialist in the phramacy industry and the chief guest who had attended that college meet ! Another long comment, huh? sorry!!! I just watched the movie – and hey its a great movie. I think people are googling Ghajini and coming to ur blog and commenting 🙂 I see some new people here. @Jude : I think the audience is going to like it. The Khans have a very stable market now and its hard for any of their movies to fail. There might be people who would love it. But that was my take. It was just about fair. @GeThu Man : It takes the basic thread from Memento, like the Memory loss concept, taking snaps etc. Yes, I have seen Memento. Both movies are quite different. @Allirekha : I think its exactly similar to the Tamil version, but I am not sure. @Vimmuuu : Believe me OSO and SIK gave me an equally bad headache. 🙂 I know all these movies were huge hits and Ghajini will be a hit too, but somehow I fail to understand such movies. 🙁 And, fine, I am not asking for a 100% logical plot, but 50%? And about that Medical student part, didn’t she see the 4 goons standing behind Ghajini? @Moviegoer : I am glad that you liked it. 🙂 I have no problems with Aamir. Its the direction and the script which I find inadequate. Very nice review, Amit! Your dissection of this movie is like doing laparoscopic surgery on a sheep! Ergo, too much effort for a minor entity. I enjoyed the movie, irregardless of all you (and I) say. For all those who claim to watch only the so called intelligent movies please stay away…and for the rest of us who want to be blown away by the sheer brilliance of Aamirs performance,Asins briliance and the screenplay and action of this superbly fun filled film..i’ve got just 3 words for you..Go watch immediatelyAamir matches surya scene to scene! The film is a must watch. Things that leave a lasting impression on your mind are. * The screenplay which is super fast that you dont even notice that 3 hrs have gone. * And finally the fact that you want kalpana to know that Sanjay is indeed a rich businessman before she dies ..wow! So if you want to be enthralled for 3 hrs and sit at the edge of your seats..dont worry about what celebrity reviewers say..even though I beleive most will give good ratings for this movie..go and Enjoy!! @Kamal : Atleast you could have written an original comment instead of pasting your post. 🙂 I am glad that you liked the movie. I did not and nothing is going to change that. Believe me. And, I have quite a few very regular readers. I don’t need to use any stunts to attract more. i have seen the tamil version of the movie. it was good. i think the hindi version will be also good. Murugadoss is a good direc too… all his movies r superhit…. but it was mentioned above that music is irritating…. as u all know he is a talented music direc. as mentioned ….. so dont take the comments from a single person… watch !! & enjoy !!!! IT was in no way like 80s sunny deol or rajnikanths movies .. I really cant imagine how amir has taken the movie . The music is very bad here in hindi one compared to A.r rehman standards .. Anyway ur review has made me curious 😛 ..
just i have seen the movie. let me explain it..
Asin looks very preety and she is a very good actor… others are so sososososo…. so now i can say that dont judge the film on others..judge it by urself… go and see the movie..its not a great movie but its a movie which can make a impact on you…. By the way Aamir, you dont have any comparision in acting…terrific actor u r..
and people u go and watch the movie …it will not disappoint u to much….its a moneyback movie……..
i would certainly be a part of the ppl supporting Aamir and Ghajini all the way!!! Firstly, pls pls stop comparing movies. Cos it’s not just the plot, there are so many other factors when u compare movies especially Indian movies to International. So pls dont! then, appreciate the perfomance from the actors in each of their roles apart from the direction and photography. This is a remake and if it has broken records, do u even realise what it takes to achieve this. DON did not do it though it was such a famous remake in Hindi itself!!!!!!!!!!!! more to say, the music by A.R.rehman in any of his movies are appreciated as u keep listening more n more and understand n apply urself to the story. same case here. “Kaise Mujhe” is an amazing number apart from Guzarish! So not jus being an Aamir fan but trying to make others understand and justifying the movie although I dont understand Hindi but love watching Hindi movies. After all we Indians need to appreciate each other for what best we can do instead of pointing mistakes. IT’S EASY TO CRITICIZE BROTHER! HARD TO JUSTIFY……..
4/5 FOR GHAJINI …….. And for those who have not seen it, go watch it without second thoughts!. An all-out Blockbuster!!! Thanks for the review Amit and saving my dollars. Gosh, I read so many reviews on Ghajini today. It’s like re-enacting the same script over and over again 😀 One way, it’s also good as it enforces my decision to not watch this movie in the cinema hall. Happy hols! dont ever try to compare it with the tamil version…. and for all of u who criticised this magnum opus,…. Problem with me is that, even with bad reviews, I will watch the movie I want to. I am watching it on Sunday. Advance booking. I didn’t read your review in entirety, for fear it might reveal the story to me. BUt I can make out you didnt like it. I didnt like OSO too, but I guess I am partial to Amir. I haven’t seen him in a masala movie for a longtime. Asin looks good to me. 🙂 I will let yo know my remarks on Sunday. As for the last anecdote about baby locked in the car, this is pretty common phenomena in US. But I guess I will have to interview parents as these to find out how they forget their babies behind! I have seen this movie in tamil.. and it is awesome 🙂 and they said the same was given in Hindi with different climax. Songs are too good in tamil but I heard that the songs in hindi version is average. I think it will become a hit in hindi too. ghajini d most disappointing film of d year…R we fools…..amir has 4go10 acting…i beg dont watch d movie…ya if u like 2 sleep in AC theatre 4 3 hrs than u may…i wud rate movie as 2/5……..
Dude, I hate the fact that only “Young” actor I admire in Bollywood did this movie. All the people defending this as not MEMENTO, we get it its not MEMENTO, MEMENTO was original and great story. Anyways Amit your review is spot on. I will watch this movie just because I watch every the movie, which is free download 😀 . @Karthik : I too believe that this movie might work and there are many reasons for that to happen. I have given better ratings to some movies and you can see that in the Movie Review category. @Shankar : I wrote that the background score was irritating. The music is average except for one song. That is what I think. Ofcourse, reviews are personal opinions and everyone is entitled to their own. @Ricky, @Laxmikant, @Dark Knight, @Kaushik, @Radhika : Thanks for sharing your thoughts. @Kiran : 🙂 My pleasure. @Kanagu : Yes, it will definitely be a hit. Khans have a strong market. @Vicky : Its the opinion of millions of people which make the movie a hit or a flop. Of course I know that. But I am a part of those million and have an opinion of my own. Secondly, all reviews are personal reviews. The are written by individuals. No one can force a review/opinion down someone’s throat. At the end, its your own personal choice. But yes when I saw the promos my reaction was like, Amir always does movies which are different and easy to connect with then why has he taken up this project…. And I usually don’t go thru other comments but aaj I did…. I wonder that why don’t ppl understand that a blog is a place where we express our “Personal thoughts & opinions”. Readers can surely come and say whether they agree with us or not but who gives them rights about questioning our motives or opinion. At the end of the day it is all about choice no? I think movie is good. Action is amazing, no need of sunny deol now. If you want to see the differeant story then you must see the movie, of Kind of change. Its nice story. Dost, be practical now a days, every hindi movie is with out any logic. so, don’t criticis that scean, see it as the best scean of the movie. If you like Aamir Khan, you love this movie. Worth watching. I give him 4 out of 5.
sorry i included yours as a good review too …..just change that comment . Yep…pretty much what I felt about the movie too. If Ghajini was actually some kind of CEO of a company…wouldn’t he be listed on Google some might wonder :P? i watched ghajini last night … and amit i so much agree with u about some stupidies in the movie .. i think the only part which makes u see ghajini is ASIN’s part..she’s a superb actress .she was bindblowing in the movie ..
n about the movie .. y cant any lady turn on her mobile ph to silent when she knw tht some gangster r over her place to kill her ?? what made aamir to wait too long to tell her tht he’s SANJAY SINGHANIA .. he could have told her when asin had given money to save his imagined mother ..
hey amit this is the first reply from PAKISTAN to ur blog (i believe) 🙂 .. Sunny Deol gave us some great movies – Ghayal being one name that stands out in my mind. So i wouldn’t necessarily mind seeing a new age Sunny Deol, but somehow it is hard to imagine Aamir Khan doing that sort of stuff. @Quality Tale : 🙂 Let me know how it was once you see it. I didnt like the Tamil version. Surya’s acting was the only saving grace. I may watch this for Aamir Khan. He is one actor in Bollywood who can be very good each time. oh yes! somebody in the tution told me this thing .i was actually laughing…….was ghajini a male or a female don ? Ghajini hmmm, I know it’s a remake of the Tamil version of the same name. But Ghajini hmmmm……..I watched it, I enjoyed the fight scenes and the story line but I you get people claiming Plagarism lol, I knew that but what I didn’t know is that these people said it was a knock off of memento (I haven’t seen Memento), the Movie I was thinking of was completly different and also a Bollywood one. The plagarised part I noticed was the whole mystery business man thing lol, this concept in my opinion was originally used in the movie ‘Pasand Apni Apni’ starring Mithun, Rati Agnihotri and Late Utpal Dutt. I loved the movie ‘Pasand Apni Apni’ and damn was so angry to see the whole concept being plagarised. Not one person has mentioned this, come on Mithun atleast you should have had a go. But then again I think the writer(s) of ‘Pasand Apni Apni’ copied this concept from another movie. But Bolly copying Bolly? Nah. Though in Ghajini they played this concept well, but never can they match the brilliance in PAA. Don’t think without Aamir the movie would’ve carried any charisma, but I also am sure that hype only brings the illusion of bloated expectations. Asin the saving grace? I found her over the top many a times, there was no chemistry between the Amir & her, I mean she sells her gaddi gives money to Amir & he takes it and goes back? Where was the mandatory hug? Amir as Poonam says looks piddi he he he…..
@Dinesh : Two of my friends who have seen both the versions said that the Tamil one was way better. But, yes, all I know is that the songs of Tamil Ghajini were way better than the Hindi one. @A : Yes, the movie worked because of Aamir and the hype. @Smita : Thanks. 🙂 Someone agreed! 🙂 Hmm, you are right about the hug. The chemistry was missing at a few places, but maybe they were not much bothered about that. I honestly don’t care much about Ghajini…but the last bit about the child locked in the car is very disturbing. God! that line literally jolted my insides and I do hope those irresponsible parents, a@##%% get hauled for being so inhuman. Tell me, tell me the child was safe please. My first visit to your blog and its got a pleasant feel. Good luck. oh! did you just read my mind there?? the only place where I would differ is Aamir Khan! he did a brilliant job! actually he along with Asin saved it from being a total look-alike of a B-grade 80’s bollywood movie! which is Sunny Deol metaphor i guess!! hehe! and it had such a crappy look. and the goons! and what a wimp as villain! if only it was about an HOUR shorter life wouldnt have been as bad! and yes, Rahman’s music is inspid to say the least! Spot on! I was tearing my hair out with all the 80s melodrama in the 2nd half. The first half was beautiful, with the illogical yet cute love story. Even the action that people praised was real good, but became monotonous after the first 2 fights. On the whole, a point less three hours. The REALLY weak characterisation of the titular villain and Jiah’s acting made it even more headache inspiring. 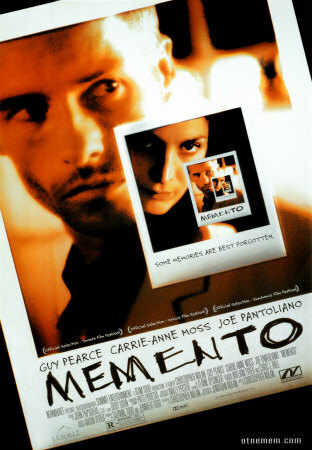 It wasn’t Memento in any which ways, but as u said basics were same, the movie had flaw written everywhere.. I have seen the Tamil version and as that was the first one I ever saw (before Memento) I kinda liked it but even that had flaws. And Murugadoss has audacity to say he likes the Hindi one better than Tamil ones.. so much arse licking of Aamir Khan.. Pheeww!!! good to see someone has the courage to say that amir isn’t the greatest. amir k wud’ve been a great film guy if he is administered a self deobsession serum. he reminds me of dev anand – never allows a film to grow beyond himself. dont think am qualifed to speak about hindi movies – i see them only in snatches – sometimes a whole movie in several snatches. hve a problem with the language. so my observations cud b wrong. its been 7 years after the movie had released.but i feel like i should say what i felt.i was in my 10th std at that time.i couldn’t watch it in theatre. i don’t have money to buy a dvd so i took a vcd on rent which has a theatre print( a print which is shoot illegally when movie is playing in theatre). for a such kind of a print, the quality was great and as a 16 year old, i enjoyed the movie as one of the greatest.i was already a fan of the songs and bgm already by that time. i watched the tamil version when that was released(that too in theatre print) and i loved it. but hindi version struck me more due to it’s bgm and songs. but honestly i liked surya’s acting more eventhough i was an amir khan fan(lagaan and TZP). now after 7 years. my perception changed. i likes realistic movies only nowadays but still cool enough to watch a decent entertainer. and i guess now i am in a perfect mindset to express my views. i watched memento two years back. it was fantastic. (christopher nolan is my favourite director). but honestly memento failed to give the same impact which ghajini(hindi) gave me.recently i saw ghajini again. i can see all the plot holes, illogical stuff and each and every mistakes, but hey, still i can watch it. it can still entertain me. and one thing i will tell you that you are wrong is the comment you made that this movie reminded of the dubbed nagarjuna and rajnikant movies of 80’s. because i hate all of them. that was a really bad comparison i had ever seen. i loved the music. even now a days i find them enjoyable(mhy personal view). And you are not at all a stupid movie goer. thats why u found all the illogical stuff in it. that includes some of them which i couldn’t find. But after all this, i thank the almighty for not giving me an internet connection when this movie released. if i had an internet connection, i would have read your review and i would have missed one of the memorable movie experiences in my life.!!!!!!!!!!!!!!!!!!!! its been 7 years after the movie had released.but i feel like i should say what i felt.i was in my 10th std at that time.i couldn’t watch it in theatre. i don’t have money to buy a dvd so i took a vcd on rent which has a theatre print( a print which is shoot illegally when movie is playing in theatre). for a such kind of a print, the quality was great and as a 16 year old, i enjoyed the movie as one of the greatest.i was already a fan of the songs and bgm already by that time. i watched the tamil version when that was released(that too in theatre print) and i loved it. but hindi version struck me more due to it’s bgm and songs. but honestly i liked surya’s acting more eventhough i was an amir khan fan(lagaan and TZP). now after 7 years. my perception changed. i likes realistic movies only nowadays but still cool enough to watch a decent entertainer. and i guess now i am in a perfect mindset to express my views. i watched memento two years back. it was fantastic. (christopher nolan is my favourite director). but honestly memento failed to give the same impact which ghajini(hindi) gave me.recently i saw ghajini again. i can see all the plot holes, illogical stuff and each and every mistakes, but hey, still i can watch it. it can still entertain me. and one thing i will tell you that you are wrong is the comment you made that this movie reminded of the dubbed nagarjuna and rajnikant movies of 80’s. because i hate all of them. that was a really bad comparison i had ever seen. i loved the music. even now a days i find them enjoyable(my personal view). And you are not at all a stupid movie goer. thats why u found all the illogical stuff in it. that includes some of them which i couldn’t find. But after all this, i thank the almighty for not giving me an internet connection when this movie released. if i had an internet connection, i would have read your review and i would have missed one of the memorable movie experiences in my life.!!!!!!!!!!!!!!!!!!! !